EDWARDSVILLE — Madison County is enhancing the help it gives its “heroes” thanks to a $502,000 federal grant it received. The Madison County Probation Department was awarded $502,058 for its Healing Heroes Veterans Drug Court Enhancement Program. The U.S. Department of Justice announced the grant on Oct. 1, which was the first day of National Substance Abuse Prevention Month. The justice department grant is part of $320 million in grants its awarding to combat the opioid crisis in America. The county is required to match the grant at 25 percent. According to the U.S. Department of Veterans Administration, the number of veterans treated for mental illness and substance abuse disorders is continually increasing. It is estimated that out of the over 2.4 million veterans of the wars in Iraq and Afghanistan, approximately 460,000 suffer from PTSD or major depression and approximately 345,000 veterans suffer from substance abuse problems. Madison County Veterans Court started in 2009 with Circuit Judge Charles V. Romani, Jr. overseeing it. In 2012, Circuit Judge Richard Tognarelli took over. 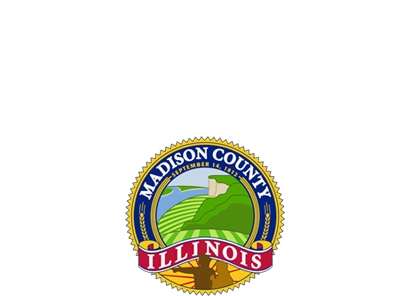 Madison County Veterans’ Court was the first of its type for Illinois, and the third such court in the country. The veterans’ court is a special diversionary court for offenders who’ve served in the military. Everyone works together to get the veterans — who often are suffering alcohol drug problems related to their military service — back on track through intensive Department of Veterans Affairs counseling and aftercare programs. Wiesehan said the program currently serves around 45 veterans at a time. The grant is effective starting Jan. 1, 2019 and it will cover the costs of the new position for four years. “This grant helps us fill a gap that is needed,” Wiesehan said. Wiesehan credits Tognarelli for helping the county obtain the grant. Tognarelli said he is excited about the grant because more veterans would receive help. “It will double the number of veterans in the program we serve,” Tognarelli said. Tognarelli said the high-risk probation officer would be able to check on veterans on nights and weekends, as well as do random testing for alcohol and drugs. Tognarelli said it’s during these times veterans are most vulnerable. He said that most of the veterans in his court are dealing with alcohol problems. As an U.S. Air Force veteran, Tognarelli believes in giving second chances. Veterans spend around one year in the program and the court receives reports on their progress. Although Illinois state statute now requires veterans’ court in all counties, Tognarelli said not all have established them. Veterans in both Jersey and Macoupin counties have taken part in Madison County Veterans’ Court when there is available space. Chief Judge David Hylla said he’s pleased the court is expanding much needed services to veterans. Chairman Kurt Prenzler agreed. He said the grant is good news for the county — both veterans and taxpayers. He said drug courts lower criminal justice system costs by reducing crime along with jail time, and by assisting veterans it shows the system is not forgetting the sacrifices they’ve made for their country. It costs around $6,500 to place a veteran in the treatment program, versus $25,000 to $30,000 per year to put them in jail.